2. 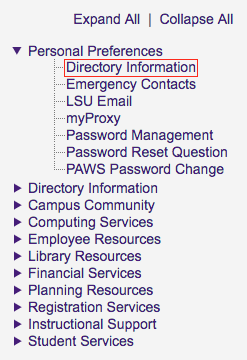 On the left hand side panel, click Personal Preferences | Directory Information. 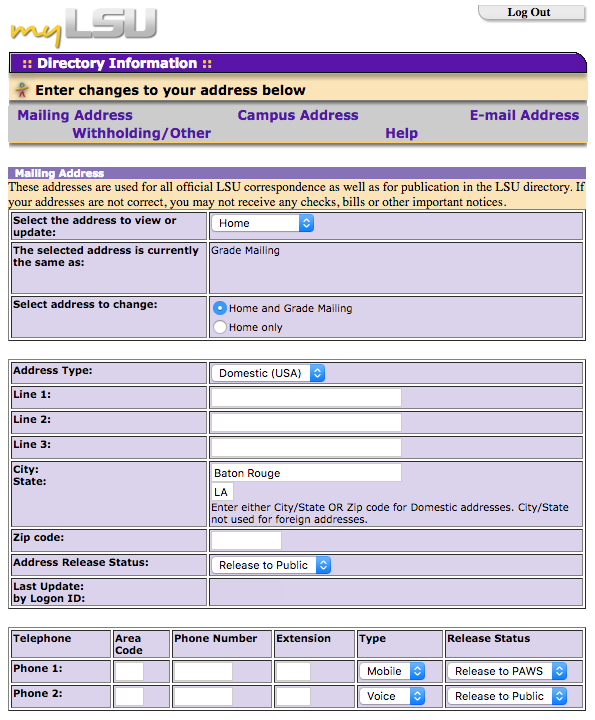 3.Choose which address you would like to change, and fill out the information. 4. Upon completion, click Change at the bottom of the page.